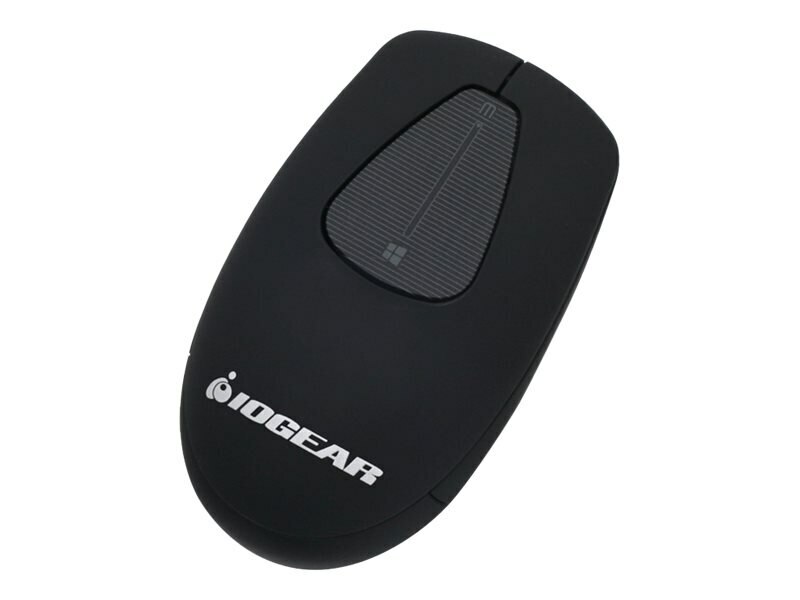 IOGEAR's new Tacturus Wireless Touch Mouse is not your ordinary mouse. Instead of a traditional scroll wheel, Tacturus features a touch pad that allows you to navigate web pages, documents, programs. The Tacturus pad is touch-sensitive, tracking even the slightest finger movements for fluid scrolling. The Tacturus Wireless Touch Mouse supports both vertical and horizontal animation scrolling, just swipe and go. The Tacturus Wireless Touch Mouse smoothly navigates the page to exactly where you need it to be. The advanced wireless technology in the Tacturus Mouse features a 2.4GHz nano receiver that lets you control your mouse movements from up to 33 feet away. So get rid of those wires and experience the freedom of wireless. Using the Tacturus driver software, you can customize many features of the Tacturus Mouse. From scroll precision to customizing the middle button, you can tailor the Tacturus just the way you like. The Tacturus Mouse is compatible with both PC and Mac.